Ok, so I’m going to admit something. I have not operated a rice cooker for over 4 years. Those little brown rice cups you microwave for a minute are my saving grace. 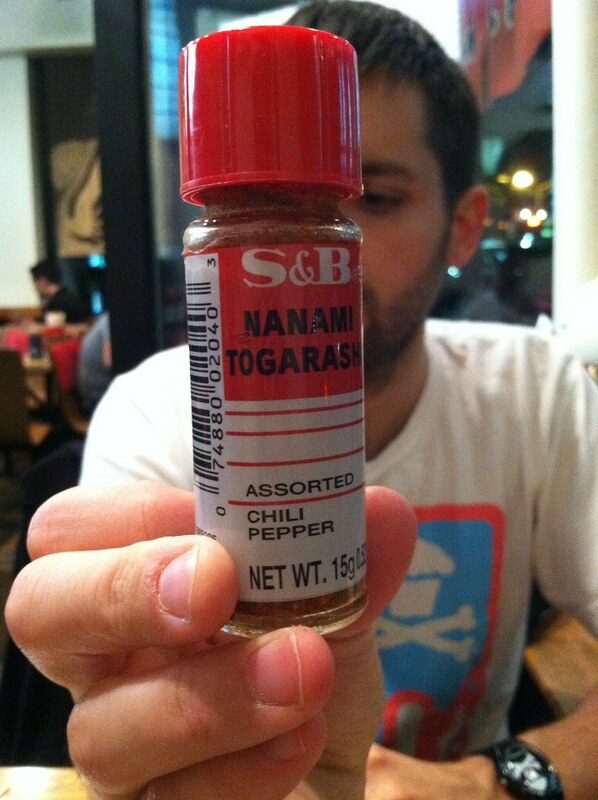 That being said, not too long ago, Mr. E and I visited a nearby Asian market in the South Shore. In a moment of glory (or weakness, however you’d like to see it), we purchased a decently expensive rice cooker. Bring on those empty calories. I am so ready for you, white rice!!!! 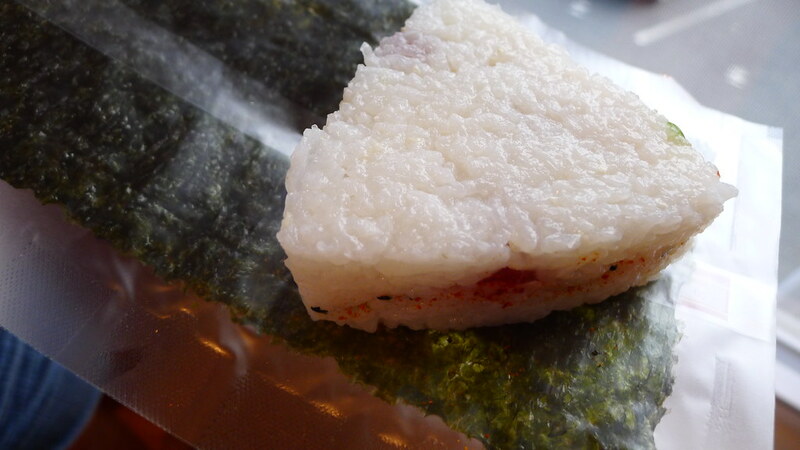 To go along with the rice cooker, I picked up a small onigiri set, nori sheets, and an ungodly amount of rice — 15 lbs. was the smallest bag they had! Mr. E, rearing to create some fun, adventurous concoctions with our new toy, set sail to our nearest market and brought home with him some sashimi grade tuna. It was firm, deep red and shiny. I probably could have eaten it as is. 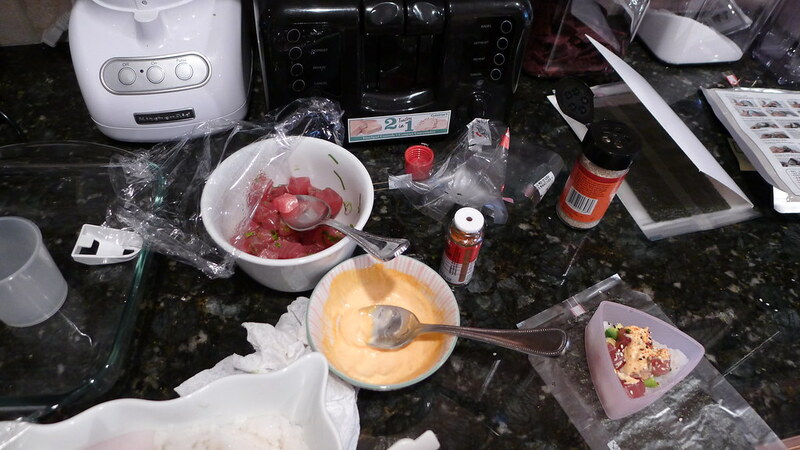 However, I cut the tuna into 1/2 inch cubes with a very, very sharp knife. Then I dressed the tuna with a small amount of soy sauce, rice vinegar, sesame oil, and the whites and greens of a scallion. While the fish was marinating, I threw 2 cups of rice into the rice cooker with around 2.5 cups of water. I use a trick a Korean friend passed along my freshman year of college — place your hand flat on top of the rice and fill with water until it reaches the top of your fingers. Perfect rice every time. Sushi rice is pretty easy to make. You don’t need a rice cooker, just make sure to use short grain rice. 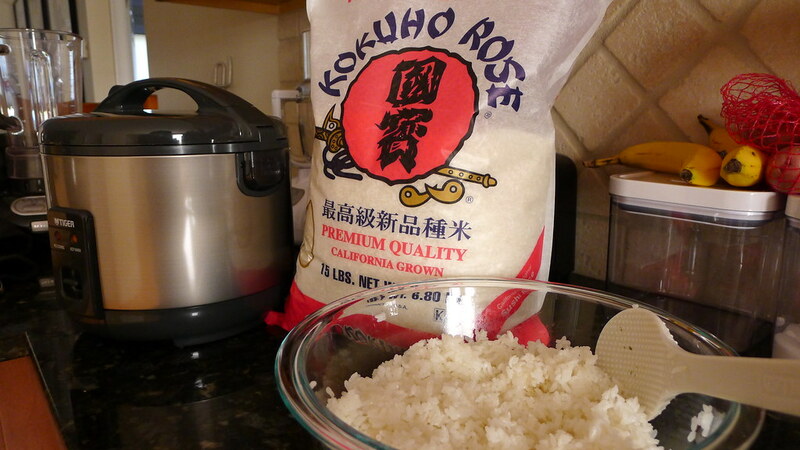 It’s starch content is higher than your normal white rice, so it does a better job of sticking together. When the rice was finished, I added a syrup mixture of water, sugar, vinegar and salt. This is a pretty good recipe, but you can nix the oil altogether. To add a little oomph to the onigiri, I slapped together a quick sriracha mayo, sliced up some avocados, busted out the togarashi and sesame seeds. The finished product! 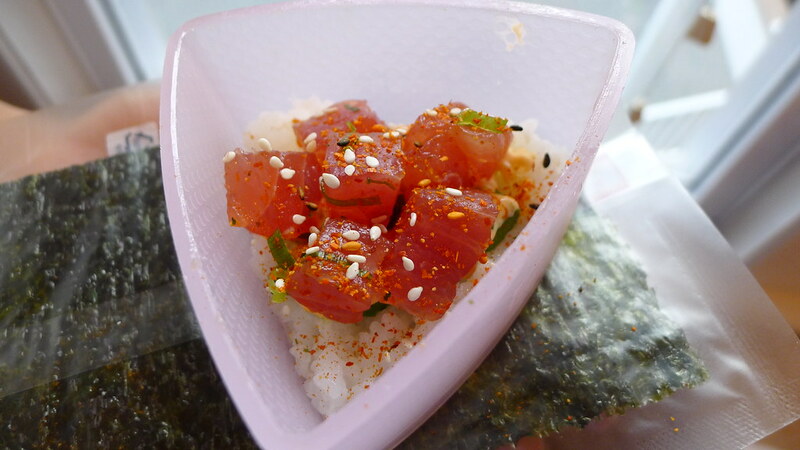 Just like a sushi hamburger!